For quite some time, the fatal derailment accident involving an Amtrak passenger train was making headline news across the county. There were a variety of theories about the speed of the train and whether someone was shooting at trains in the Philadelphia area, and a variety of other theories. Whenever a passenger train is involved in a accident, it makes sense that it captures the public attention. 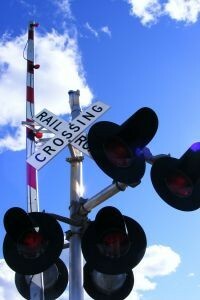 However, passenger rail service only accounts for a very small portion of the total rail traffic in the United States. Most of the rail traffic in the United States is for Freight Trains, which carry everything from coal to cars across the country. Some of the freight trains are filled with hazardous chemicals and fuels, and an accident involving a freight train can result in serious personal injury not only to those operating the trains, but also to the entire community around the crash site. According to a news report from the Tennessean, the recent derailment involving a CSX freight train carrying toxic liquid chemicals caused serious environmental concerns and a town of around 5,000 residents was evacuated following the train crash. All of the residents asked to leave their homes and business were located within a mile and a half of the crash site. Emergency personnel went through the neighborhoods knocking on individual doors telling them they should leave immediately. The concern was that some of the liquid being carried on the train that derailed was a chemical compound known as liquid acrylonitrile. This chemical is extremely flammable and also toxic if inhaled. However, when it ignites, which is fairly easy to do, given its volatile nature, it releases hydrogen cyanide, also known as Prussian Blue, which is the same type of gas used in the gas chamber during executions. Even if the liquid is not excited, the acrylonitrile vapors can cause respirator illness, dizziness, increased heartbeat, and headaches. Prolonged exposure can lead to serous health consequences. Authorities say around 90 people were treated at local hospitals, and nearly 40 victims had to be admitted to hospital for an extended stay and treatment. Ten of the victims were first responders who suffered personal injury while trying to assess the damage, put out the fires, and contain the toxic spill. The company provided vouchers for anyone displaced to stay at local hotels and also provided food for residents at local school cafeterias. The company said it will work with the community to reimburse them for any out-of-pocket costs as result of the accident. They also said they were unaware of how much of the toxic chemical spilled, whether any of it was burning, or if any cyanide was released. As our Boston personal injury attorneys can explain, if you expect you are the victim of a toxic tort or other similar type of injury or illness, you should consult with an experienced attorney as soon as possible. While it is nice when a company steps up to do the right thing, you should never sign any paperwork including a release of liability until you have had the opportunity to speak with your own attorney and show him or her the form the company is asking you to sign.